Tandem Jump – Skydive Kamloops! Unlike the First Jump Course, you can have a cameraman there to capture the whole thing! 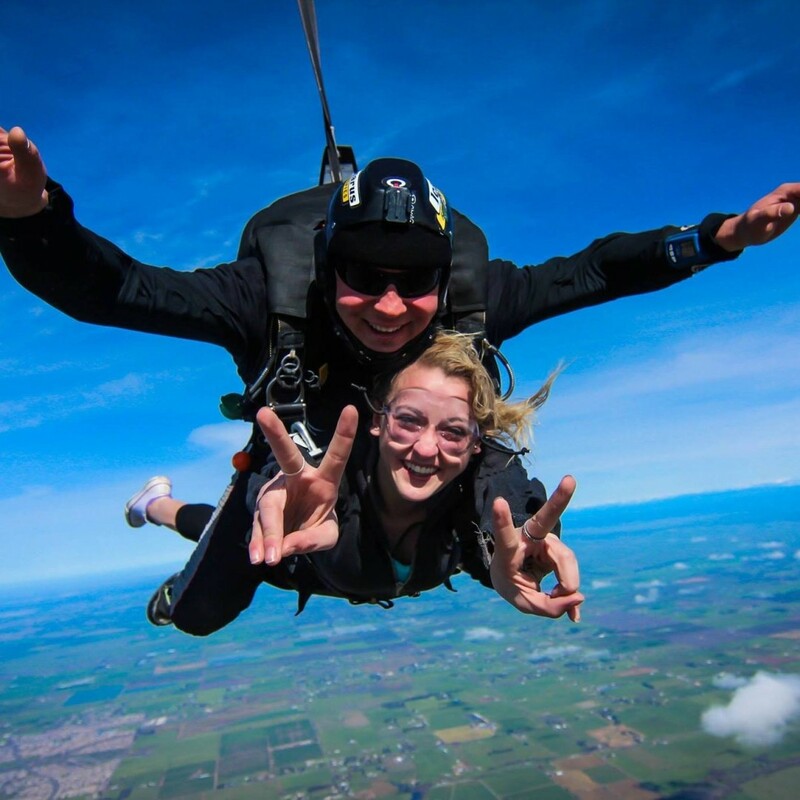 A Tandem jump is ideal for those who want to make a parachute jump to “see what it’s like” or for those who have a physical handicap that precludes them from doing a jump by themselves. After only a short training briefing you and your Instructor will take to the skies. You will climb in the aircraft to 13,000 feet and freefall for about 60 seconds. You will have the sensation of being on your own. After you open the parachute, the instructor flies you to the ground as you enjoy the scenery on Kamloops. You may even get the chance to fly the parachute if you ask nicely! A tandem jump is a great way to experience the thrill of skydiving while under close supervision of an experienced Instructor. Tandem skydiving requires only 30 minutes preparation. In a Tandem skydive your instructor is with you during freefall, parachute flight and landing, so you only need to learn a few essential skills before making your first skydive. *NOTE: Due to safety restrictions there is a maximum weight of 220lbs for passengers. Of course you don’t want to miss out on getting video and pictures! Be sure to inquire about getting them in the air during your jump!